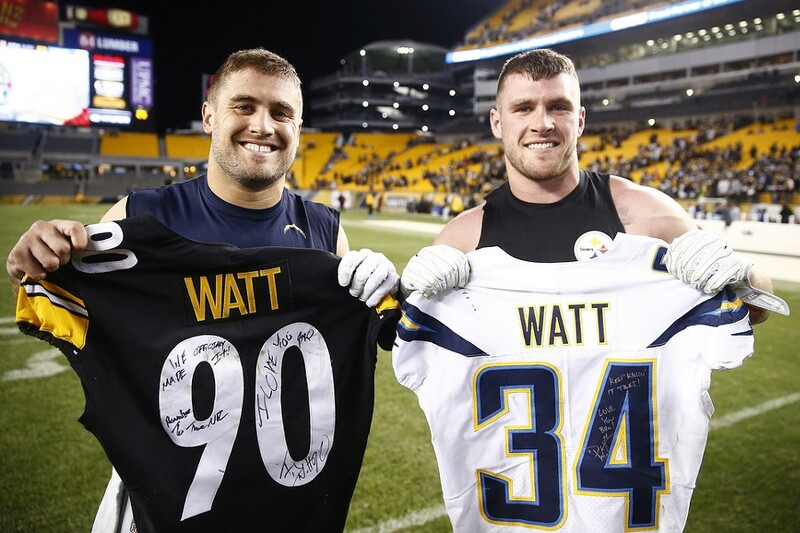 Brothers Derek Watt (left) and T.J. Watt (right) trade jerseys postgame. 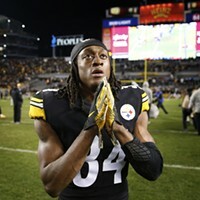 Even in a tough loss for Pittsburgh Steelers fans, family is more important than football. Tonight marked the head-to-head matchups for two sets of brothers, T.J. & Derek Watt, as well as twins Maurkice and Mike Pouncey. Sure, the calls on the field were quite terrible and the local team lost 30-33 in the final seconds on the third attempt of a field goal. But seeing the smiles and love shared at the end of the game, makes you realize that family will be with you much longer than the game. And in the holiday season and the first night of Hanukkah, it seemed only fitting to be reminded of that. 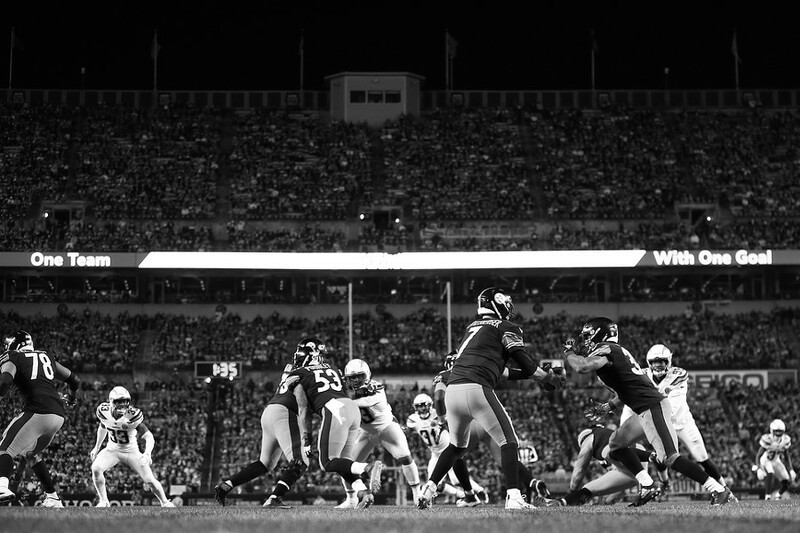 The Steelers record is now 7-4-1 and will play at the Oakland Raiders on December 9th at 4:25pm. 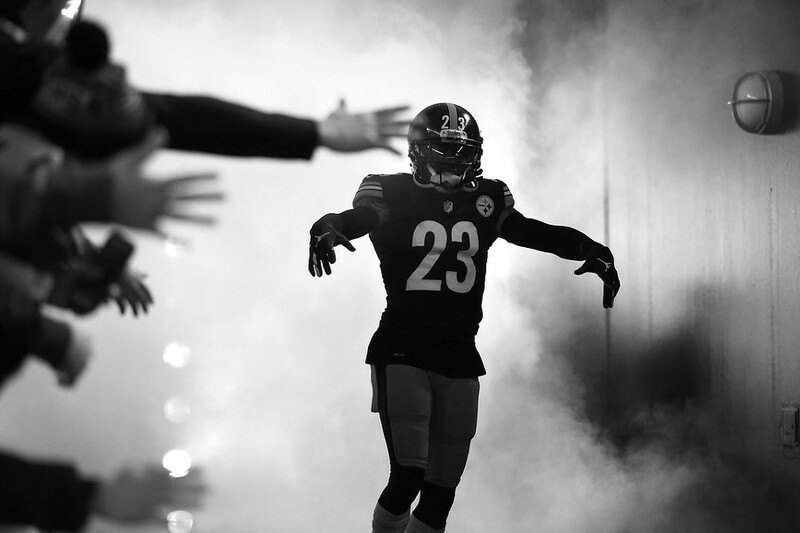 Joe Haden enters amidst smoke and fans. Roosevelt Nix and James Conner enter Heinz Field together. 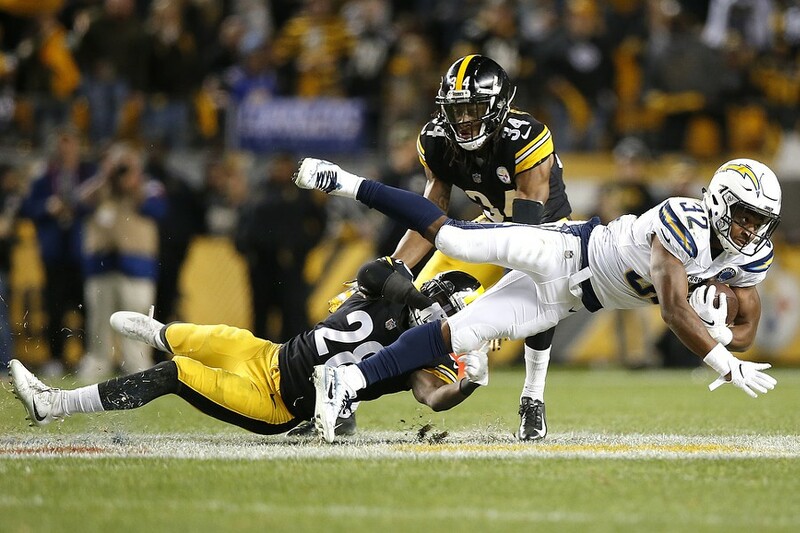 JuJu Smith-Schuster drops a pass while being interfered with. 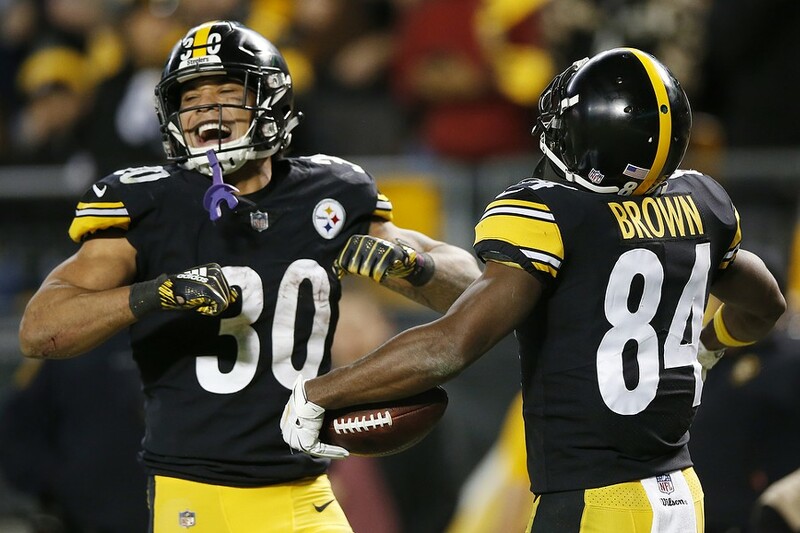 Deep in their own territory, Conner receives a handoff from Ben Roethlisberger. 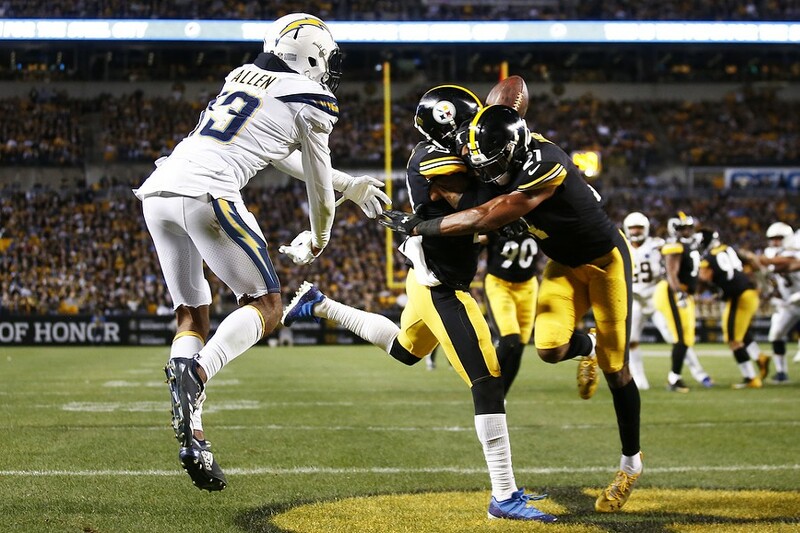 Joe Haden & Sean Davis collide to allow a touchdown catch by Keenan Allen. 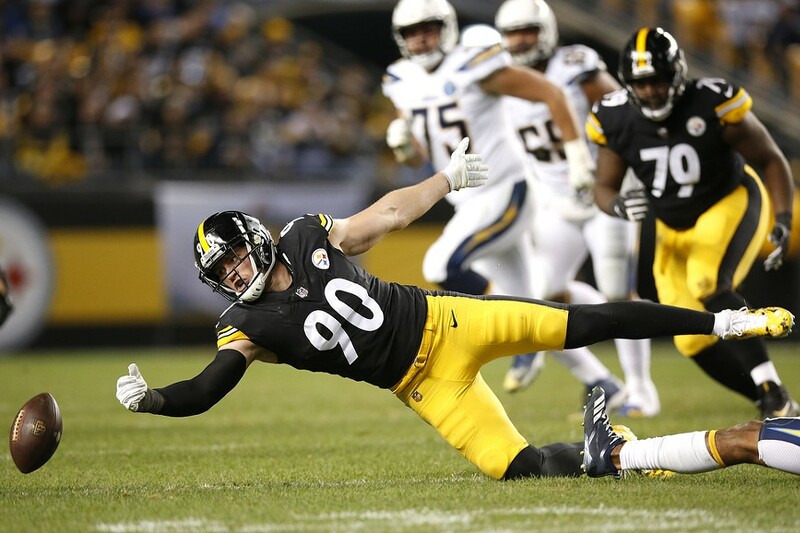 T.J. Watt comes up short on a deflected pass. 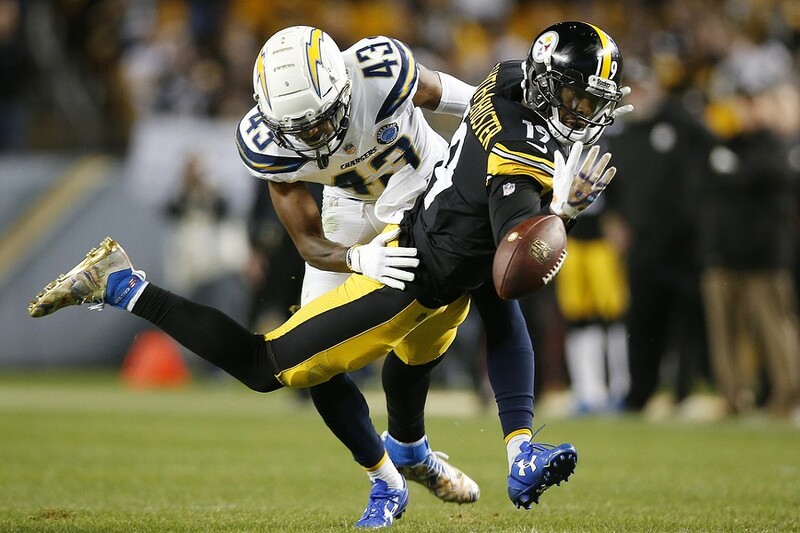 Mike Williams of the Chargers is tackled by L.J. Fort following a catch. 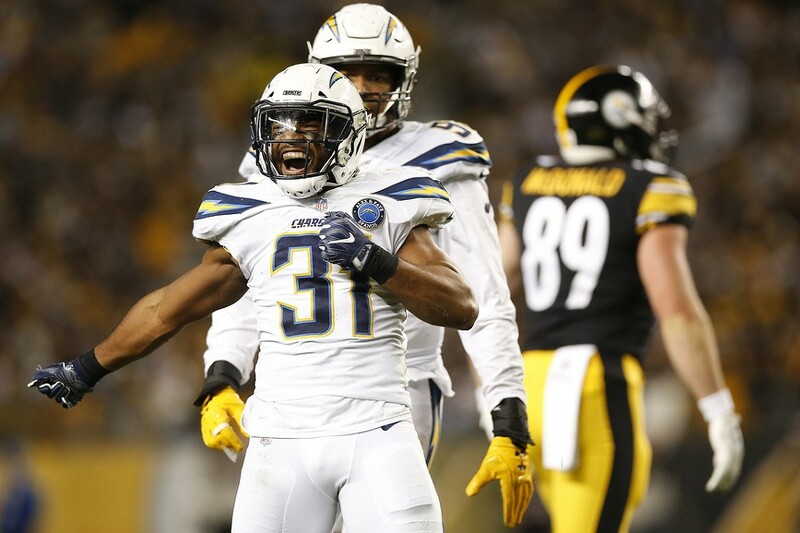 Adrian Phillips celebrates a defensive stop against the Steelers. 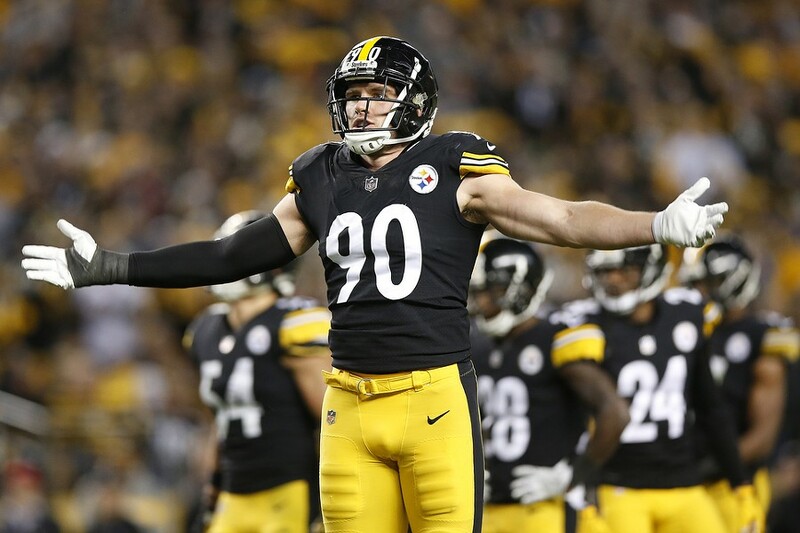 T.J. Watt gets the Heinz Field crowd involved in the game. 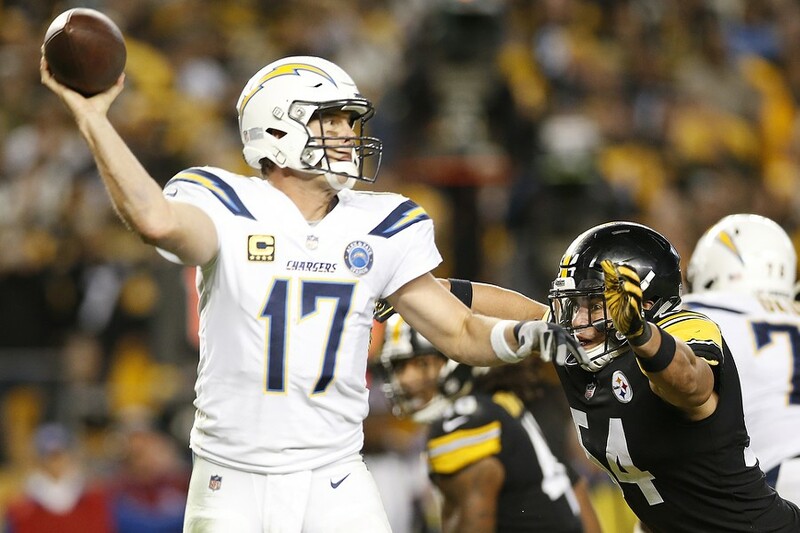 Phillips Rivers gets a pass off in front of L.J. Fort. Justin Jackson dives after carrying the ball past Mike Hilton. 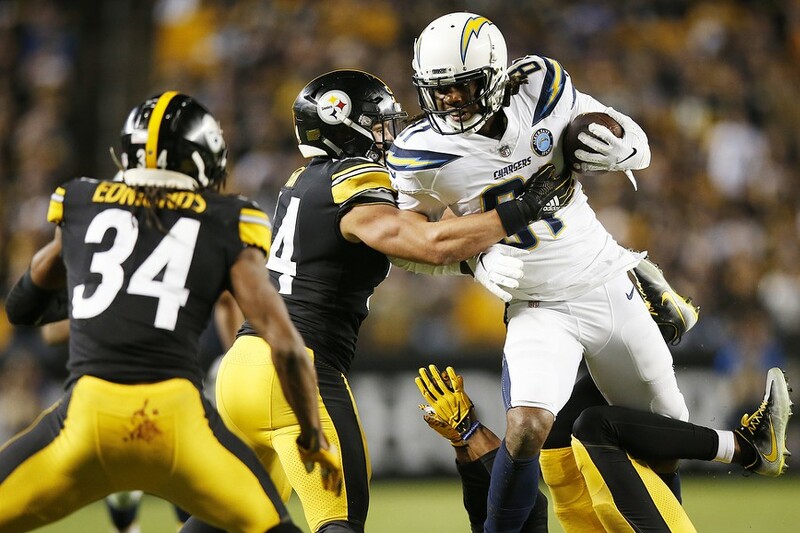 James Conner suffers a leg contusion on this play while being tackled by Adrian Phillips. 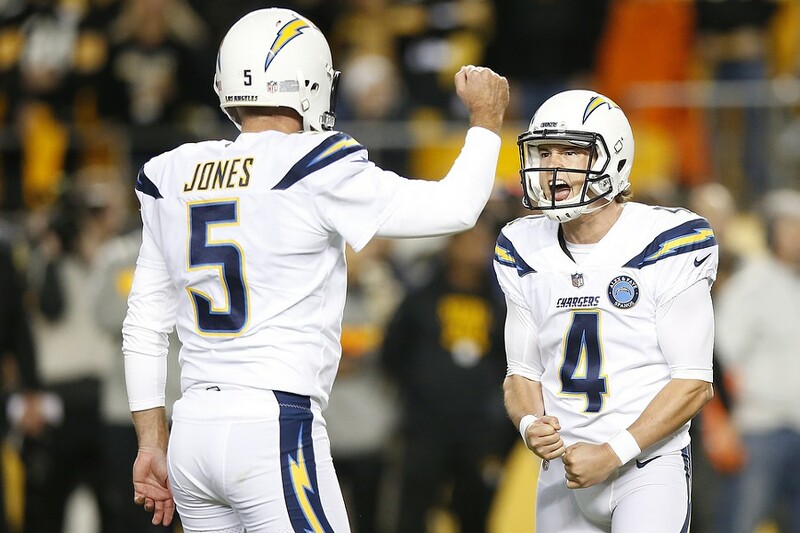 Mike Badgley celebrates his game-winning field goal as time expired. 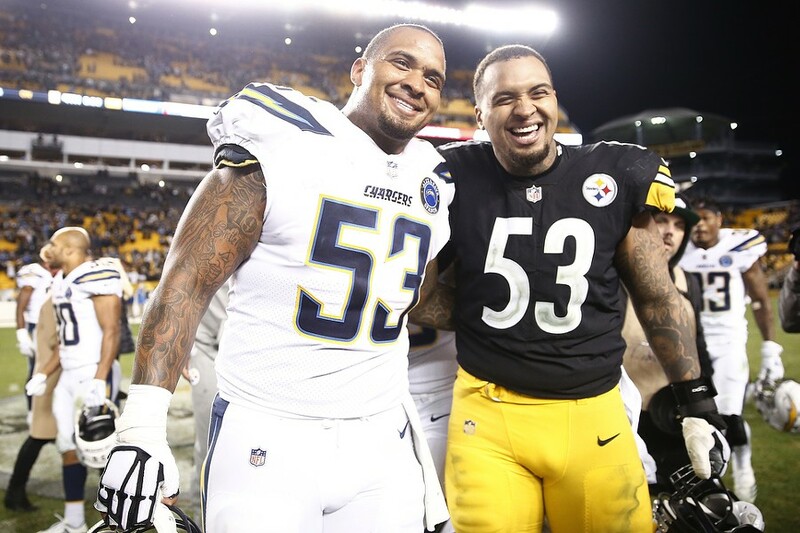 Twin brothers Mike (left) and Maurkice Pouncey (right) pose for a photo postgame.